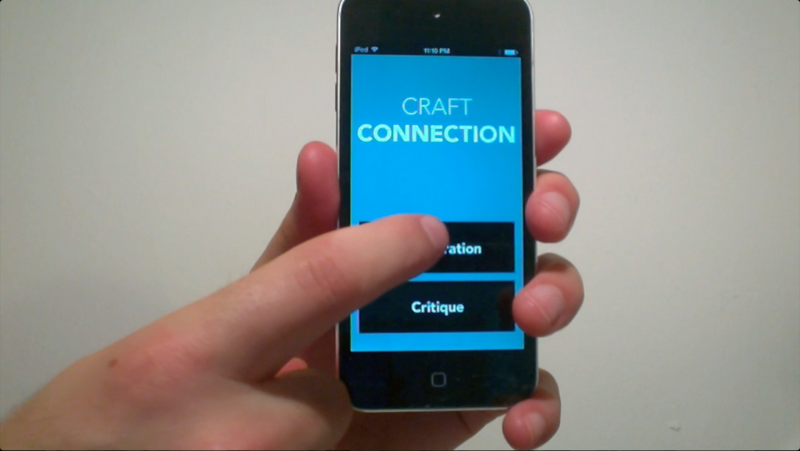 Check out this preview of my app in the making named Craft Connection. The goal of the app is to connect artists and designers who are looking for collaborations or feedback on their work. An example of someone who might find this service useful is someone who has recently graduated from college and is inbetween jobs, but no longer has a classroom of peers and students to help them with their projects and provide critique. Click Here to try out a working prototype of the app, or watch the video below!